Included here are a number of photos taken with trip cameras. 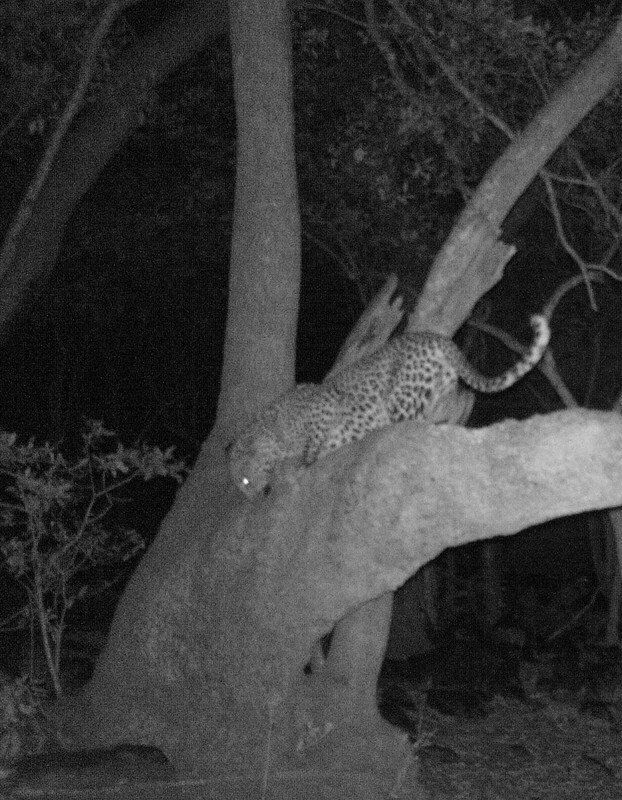 Shaun Mare and Salmon Vermaak have been involved in leopard research on the farm since 2016. theu spent the first year moving the trailcams around until finally in mid 2017 spotted both male and female leopard. 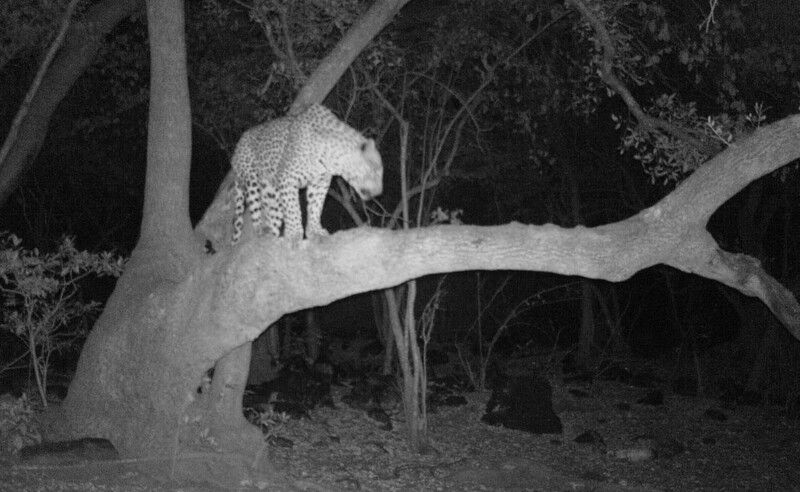 They kept the camera in the same spot and found one or two other leopard in the same spot. 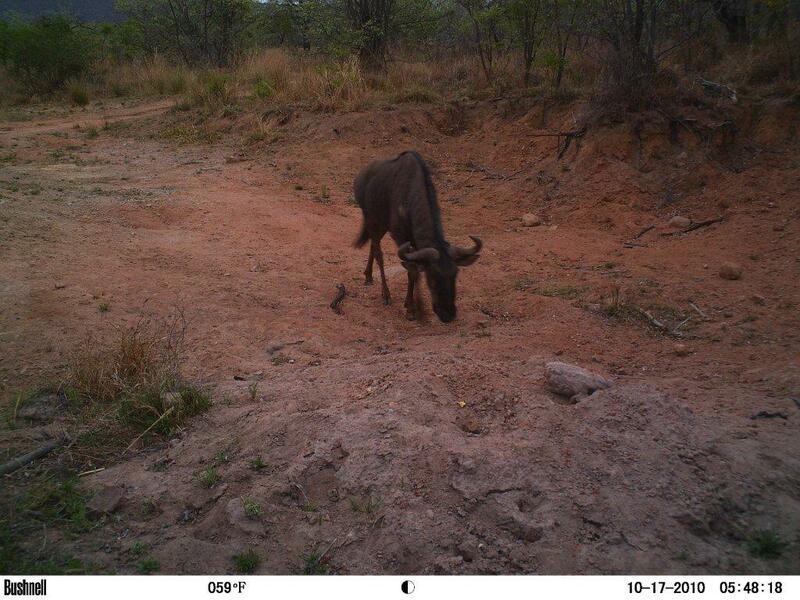 In 2019 they hope to aquire a new trailcam with better picture quality and video recording functionality and send the pictures to Catspotter and add them to their database as well. 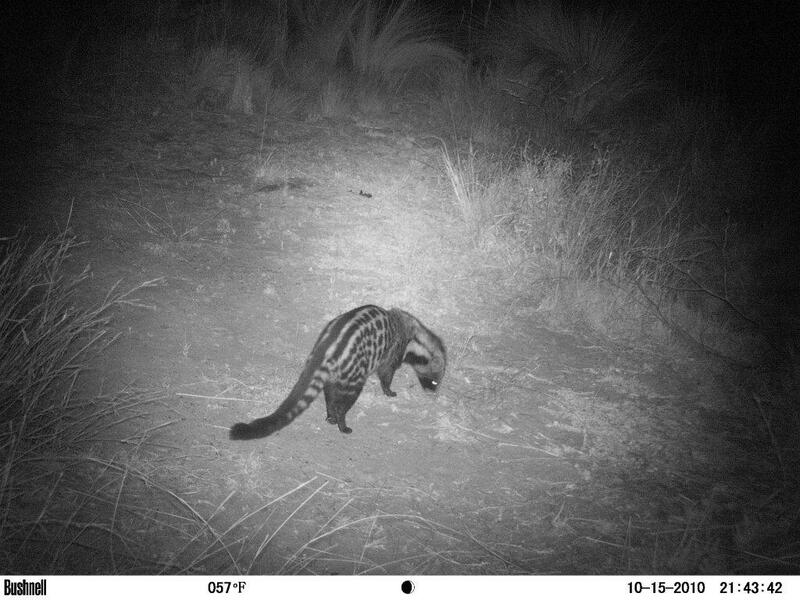 Two additional photo's received from Werner, including one of a ratel taken on the farm, and a small spotted genet ( and waterbuck ). 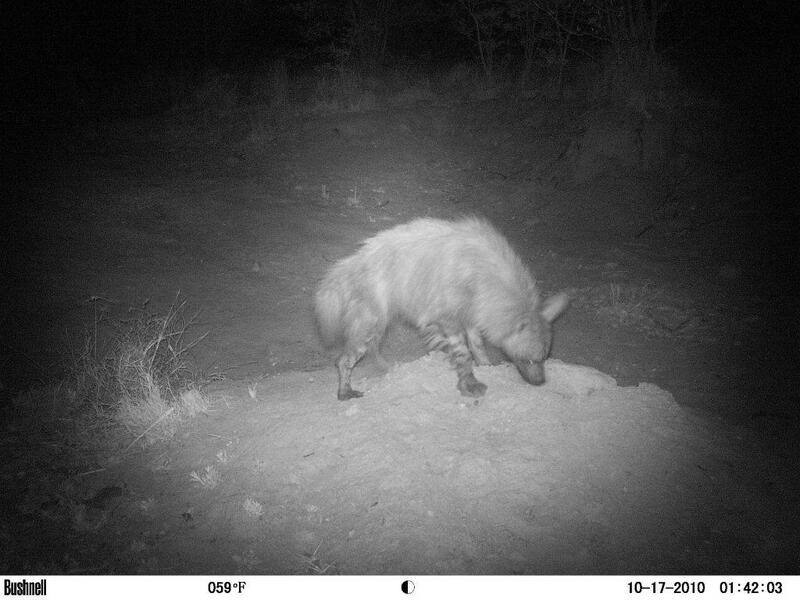 The existence of ratel on the farm is very exciting as they are very seldom seen on game drives. 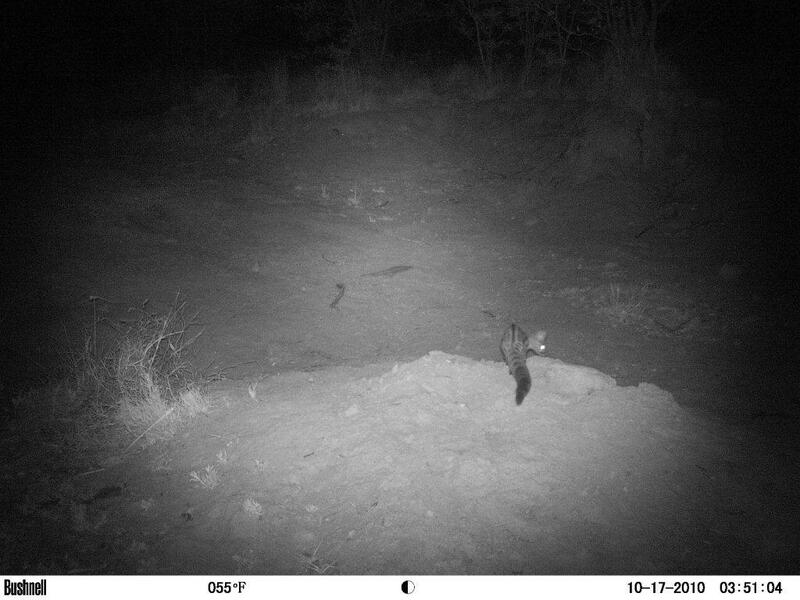 All of the pictures below were taken over 2 nights ( 15 & 17 October 2010 ) by Werner Merbold in one spot on the farm with a trip camera. Few shareholders are lucky enough to see some of these on a game drive as they are mostly creatures that come out at night ! !